HM Revenue and Customs is reminding taxpayers during Talk Money Week how it can provide them with financial support. 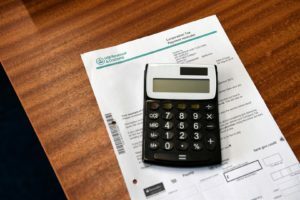 From helping people buy their first home to government-funded top-ups for savers, HM Revenue and Customs (HMRC) is supporting Talk Money Week and reminding taxpayers how the department can help boost their finances. Mel Stride MP, Financial Secretary to the Treasury, said: “The tax that HMRC collects funds our vital public services, and also provides financial support to taxpayers and those most in need through programmes delivered by HMRC. If you are married or in a civil partnership, you can claim up to £238 a year in Marriage Allowance. It is quick and easy to apply online. If you claim at any point in the tax year, you will still receive the full entitlement. Are you on a low income and find it difficult to save money? Help to Save is a new government savings scheme. It rewards savers with an extra 50p for every £1 saved, meaning over 4 years a maximum saving of £2,400 would result in an overall bonus of £1,200. Tax-Free Childcare is available for parents or guardians with children aged under 12, or aged under 17 if disabled. It is available to around 1.5 million households to help with the cost of registered childcare, enabling more parents to go out to work. For every £8 that you pay in, the government will make a top-up payment of an additional £2, up to a maximum of £2,000 per child per year (or £4,000 for disabled children). You can check whether you’re eligible. Nurses, hairdressers, construction workers and millions of other employees can claim tax relief on work-related expenses – money they’ve spent on things like work uniform and clothing, tools, business travel, professional fees and subscriptions. A simple Check if You Can Claim tool is available. If you are first time buyers of a residential property you can claim First-Time Buyers Relief on your property purchase made on or after 22 November 2017 – this applies to England, Wales and Northern Ireland only. This means you will not pay any stamp duty on properties up to the value of £300,000 outside London, or £500,000 in London. You can read further guidance and check your eligibility. HMRC has also designed an accessible and free resource – Junior Tax Facts – to educate young people on how public money is raised and spent. Talk Money Week (formerly Financial Capability Week) runs from 12 to 18 November and is the annual celebration of the work thousands of organisations are doing to improve money management across the UK. It aims to get more people talking about money.